Legends and fairy tales have always been a great way of looking at what society finds both frightening or exemplary. For example, back in Medieval times, the plagues that spread unseen contagion fed the original vampire legends. And as recently as a few years ago a suspected vampire was beaten to death in modern Malawi because terrified villagers believed he was causing the unexplained deaths of both cattle and human children. 1. The Monster from Nature. This monster represents a power we think we’ve harnessed but have not. The Loch Ness Monster, Bigfoot, King Kong, and Godzilla all stand in for threats from wildfires to hurricanes to earthquakes. 2. The Created Monster. Like Dr. Frankenstein’s monster, this is the creature we’ve built and believe we can manage – until it attacks us. From nuclear power to robots to AI, these technological threats are all around us. 3. The Monster from Within. This monster springs to life from our repressed dark side, represented in the Mr. Hyde to our Dr. Jekyll. Mass murderers, suicide bombers, drunk drivers all embody this terror. 4. The Monster from the Past. Our psyches created this monster to try and understand historical horrors that we cannot fathom, from torture to death camps to slavery to the Inquisition. The Mummy, Dracula, and others are only the more obvious examples of this monster. 5. Zombies. The walking dead symbolizes whatever unstoppable force we believe will engulf us, including epidemic disease, famine, globalization and the politically incorrect yet contemporarily popular boogiemen of Islamic fundamentalism, illegal immigration, and waves of refugees. Likewise, heroes and legends also represent our deeper feelings, but in this case they often stand in for the things we find to be desirable and worth working for. Numerous studies have been done to determine which superpower test subjects would prefer, flight or invisibility. The belief has been that flight represented good while invisibility represented deviousness. That’s why flight was given to exemplary superheroes such as Superman, Wonder Woman, and Captain America whereas characters like The Invisible Man struggled with issues of good and evil. But today, flight has become so universal that few of us think anything of it. Instead, we naturally hop on a commercial flight to go on vacation or attend a business meeting as a matter of course. And for those lucky few of us who can afford private aviation, the dream of being able to fly anywhere at any time — just like Superman — has actually come true. And so, transparency and invisibility have become the next frontier of how man can try to have his grasp exceed his reach. And as we’ve seen so many times before, technology is helping us there, too. In the past, it was possible to hide secrets because most people had no access to information. But with today’s ubiquitous Internet, almost all information is available to any of us at any time. And with the magical device made of silicon and glass that we all carry in our pockets, that information is available almost anywhere, too. 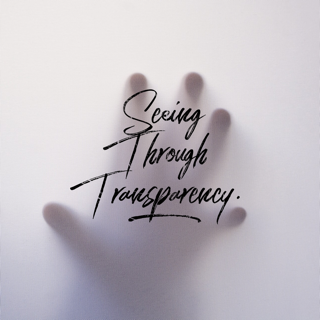 That’s a long way of saying that transparency is being imposed on us whether we like it or not. And while you might want future technology to allow you to opt out of sharing your information (becoming invisible) the opposite is going to happen as more and more of your private information becomes available online (favoring transparency). As we figure out how to deal with these new realities, we’re going to see more examples of invisible or transparent characters represented in popular media. And as we move forward with our brands and businesses, it will behoove all of us to keep in mind that our personal and professional lives are now completely in the light.